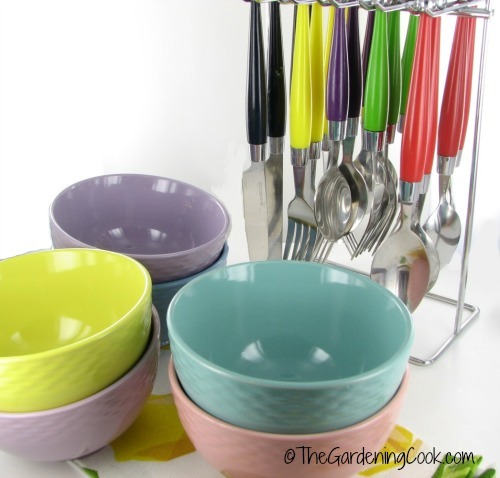 These Lovely Francois et Mimi Ice Cream Bowls are So Versatile. One of the nicest parts of being a food blogger is that vagarious sponsors contact me to review their products. Normally, I will review what I receive as part of a recipe, or another type of post that I do. But when I received these Francois et Mimi Ice Cream bowls, I decided that they deserved their very own post! Note: this article may contain affiliate links. These bowls are a delight. I love everything about them. The size is perfect and can be used in so many ways. The colors are so pretty and match so many dinnerware settings out there, and the quality is wonderful. They are solid, well made bowls that are both microwave and dishwasher safe. Having an ice cream party? Your kids will be delighted to pick their own color from the group of 6 pretty pastel shades. 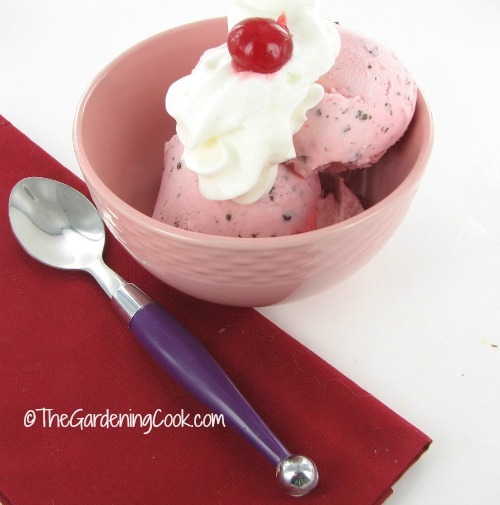 You can even match the ice cream color to the bowl, like I did with this cherry cordial flavor in the pretty pink bowl. I love the size of the bowls. I have some small bowls that match my dinner ware, but they are tiny. 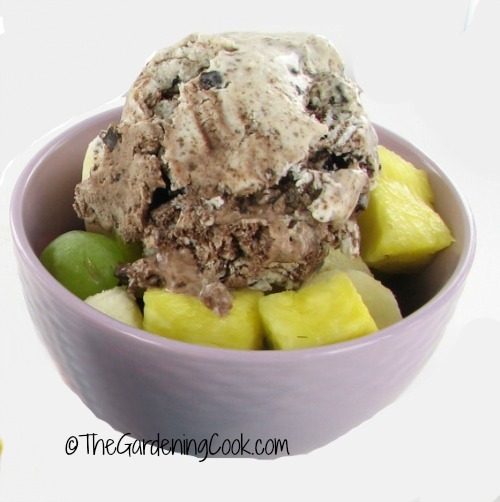 These bowls are large enough for both fruit and ice cream on top without crowding the bowl at all. Trying to cut down on calories? Fill up on fruit. 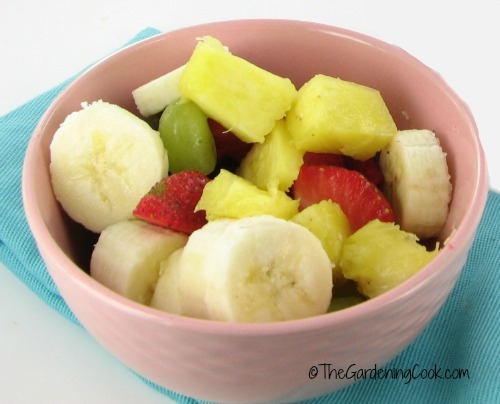 This delicious fruit salad is huge and the bowl adds to how pretty it looks on the table. And the bowls are not just for dessert. This one shows it holding my heart friendly breakfast of shredded wheat, fruit and walnuts. It is the perfect size. 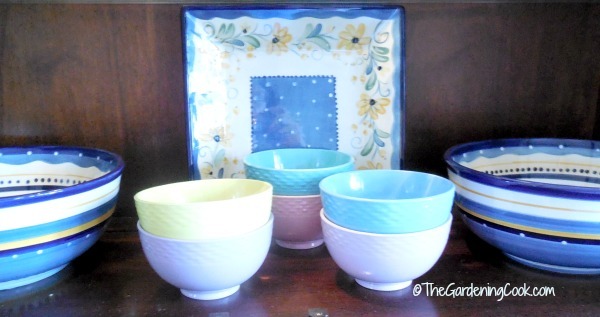 Imagine my delight when the colors of the ice cream bowls blend in well my my Bella Rosa Traditions dinner ware. I have had a hard time getting extra pieces for this set, since it has been retired, but these bowls pick up the colors well. 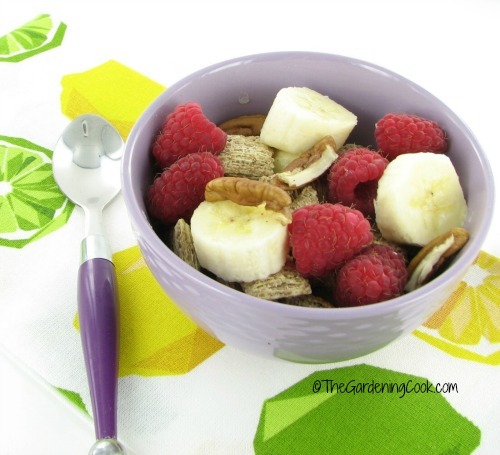 The uses for these bowls can go on and on. Fixings for tacos, mini salads, food prep bowls. I just love the possibilities! And as an added treat, I also have some colored forks, spoons and knives that go well with them. Their color is darker but they still work. This set of Francois et Mimi ice cream bowls is available on Amazon. My sponsor is out of stock right now, but they should be available for sale soon. Disclaimer: I received this set of bowls for an honest review of the product. I only recommend items that I think my readers will really enjoy. I would recommend these to anyone who wants a fun set of bowls.